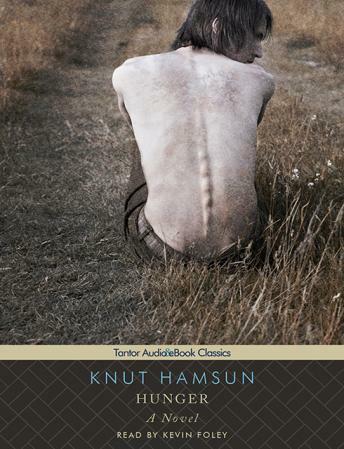 Knut Hamsun's Hunger, first published in 1890 and hailed as the literary beginning of the twentieth century, is a masterpiece of psychologically driven fiction. The story of a struggling artist living on the edge of starvation, the novel portrays the unnamed first-person narrator's descent into paranoia, despair, and madness as hunger overtakes him. As the protagonist loses his grip on reality, Hamsun brilliantly portrays the disturbing and irrational recesses of the human mind through increasingly disjointed and urgent prose. Loosely based on the author's own experiences prior to becoming a successful writer, Hunger announced the arrival of a new kind of novel and heavily influenced such later writers as Kafka and Camus. This edition is the translation by George Egerton. I couldn't even get through Disc 1 as the narrator was so dry. He might just as well have been reading a calculus textbook, that's how flat his intonation was.